We service garage doors. All brands. And any type of door. 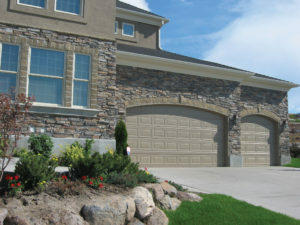 On top of quick repair services, Garage Door Repair Humble installs, replaces, and maintains the door and its opener. We are a trusted team not just because we are local. Our entire team is well trained and fully qualified to offer services. And we do any job as soon as we can. The vans of our company are fully equipped and so our experts have exactly what they need with them when they come to provide service. Do you want to replace an opener? It can happen in a jiffy! Need to install a new overhead door? One phone call to our local garage door company and our tech will be there to offer solutions, ideas, help, and a free estimate. All doors must be fixed fast when they break down and that’s what we do at our Garage Door Repair in Humble, Texas. But they also need frequent inspections and maintenance service. Without regular maintenance, they wear faster and problems pop more than they should. So give us a call once a year and let our experts provide routine garage door service. We do thorough work. Our team is also here to help you out when you are looking for new door options. Not only will we provide you with the new door you want, but will also install it to your satisfaction. The installers of our company are experts in the assembly and fitting of any door and opener. Trust that any service is completed with success! Call us now if you are interested in a new door or need garage door repair.